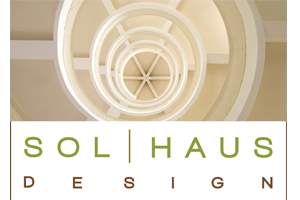 SOL HAUS DESIGN provides a wide range of services throughout all phases of your project–residential remodel, addition, or new construction. We work closely with design-build contractors to establish budget parameters at the beginning of the project, which significantly reduces time and expense for our clients. An initial consultation to visit the site and discuss project goals is free of charge. We are very attentive to your specific needs and value collaboration with you. Please contact us to schedule a time for the initial consultation. 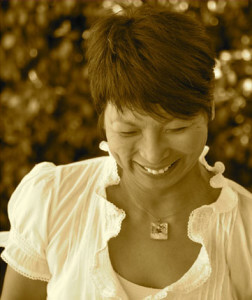 Vina Lustado has over twenty years experience in the industry and holds an architecture degree from USC. Vina has worked with notable offices in Los Angeles, San Francisco, and Chicago, with projects ranging from high-end custom homes to large corporate headquarters. After more than two decades on the high-end corporate path, Vina decided to focus her career on smaller-scale projects that could make a positive difference. She had always been drawn to social and environmental causes by volunteering with various non-profits such as Habitat for Humanity, Ojai Valley Green Coalition, and Volunteer For Peace. One of the highlights of Vina’s career is an international fellowship in Germany to research ecological and affordable housing. During the time she spent in Germany, Vina learned that sustainability must be a mindset that pervades culture and lifestyle. Staying true to her values, Vina has completed the design and construction of her off-the-grid Tiny House. Equipped with simple luxuries as a loft skylight and a cozy fireplace, Vina has manifested her dream home in 140 square feet. It reflects her philosophy about simplicity, sustainability, and living within her means. Vina Lustado received her professional architecture degree (B. ARCH) from University of Southern California. She has all the required training/experience for licensure, but not yet a registered architect. ENERGY EFFICIENCY: The use of passive solar heating and cooling is one of the most effective means of saving energy: using south facing windows, shading at the west and east exposures to minimize heat gain, and using thermal mass at the exterior walls. Other examples are using Low-E and dual paned glass, compact fluorescent or LED light fixtures, Energy Star appliances, and cool (light colored) roofs. When equipped with solar panels, radiant floor heating, and a gray-water system, a house can be completely off the grid and self-reliant. HEALTHY LIVING: Volatile organic compounds (VOCs) and formaldehyde, which are known to be carcinogenic, are found in many paints and adhesives—but there are clean alternatives. Toxic-free environments alleviate many health problems such as asthma, especially in young children whose immune systems are still developing. Designing with natural heating and cooling principles and without forced-air units and mechanical ducted systems also greatly improves the health of the living space. CONSERVATION OF NATURAL RESOURCES: Using wood from managed forests (Forest Stewardship Certified) and specifying recycled products helps preserve ecosystems and minimize waste. Another example is the use of prefabricated panel system, in lieu of stick built construction. SIPs (structural insulated panels) is a system that manufactures wall panels in a factory to reduce waste, maximize energy efficiency, and reduce construction time. Therefore it is more economical, sustainable and much faster to construct. DURABILITY: Promotes durability of materials and construction methods so that structures can endure for many years to come. This practice requires less maintenance for the house and property. For example, the use of drought-tolerant native plants in landscaping reduces or eliminates watering. LOCAL RESOURCES: When materials and labor are sourced locally, the carbon footprint is minimized by reducing transport and shipping. More importantly, jobs are kept in the community and the local economy is supported.